RY1 insulating oil dielectric loss testing electrode (also called oil cup) is used to precisely measure dielectric loss（tgδ）, relative dielectric constant（εr）and DC resistivity for liquid insulating materials such as cable oil, transformer oil, capacitor oil, etc. The testing electrode is in line with IEC standards in structure and principle. It is inter-changeable with TETTEX2903 which is widely used in China. 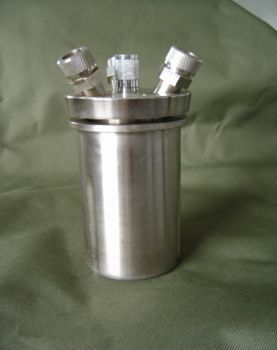 The device is kind of electrode with shielding, with 2mm cylinder gas capacitor as polar distance which could effectively suppress and eliminate influence from stray capacitance, thus to enhance measurement accuracy. manufactures and sells high voltage electric equipment. Our main products include high voltage complete test systems, testing instruments. power transformer test system, instrument transformer test system, PD test system, various AC test systems, series resonant test system, impulse voltage/current test system, high voltage capacitive bridge, series high voltage standard capacitors, etc.